A juniper bush (Juniperus oxycedrus subsp. oxycedrus) in the valley of Ammoutsera. This is a similar species to Juniperus oxycedrus subsp. 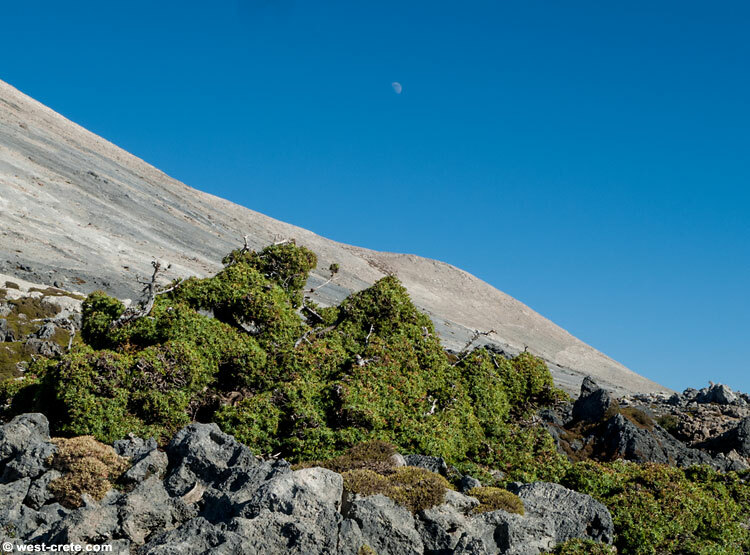 macrocarpa but as it grows only at high altitude (generally a little above the tree line) it is very slow growing and rarely taller than a meter in height (even though some plants could well be several centuries old).